The University of Iowa Libraries welcomes and serves all, including people of color from all nations, immigrants, people with disabilities, LGBTQ, and the most vulnerable in our community. We safeguard the human right to access information. We offer educational resources that promote diversity, equity, and inclusion, and we strive to build collections that reflect all points of view on current and historical issues. 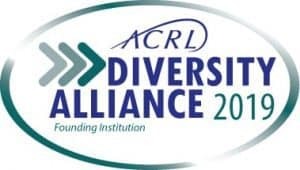 ACRL Diversity Alliance — The University of Iowa Libraries is a charter member of the ACRL Diversity Alliance, an organization that unites academic libraries that share a commitment to increase the hiring pipeline of qualified, talented individuals from underrepresented racial and ethnic groups. Committed to designing experiences at the local level to expand the residents’ interests and skills, e.g., mentorships, rotation through other library units, etc. Staff Development & Diversity Program Team — The UI values diversity among students, faculty, and staff and believes that a rich diversity of people serve to enhance the quality of the educational experience at the UI. This belief is guided by three foundational commitments and seven core values that direct planning, setting priorities, and “carrying out every aspect of its [the University’s] mission.” Diversity, a core value, and Inclusion, a foundational commitment, are two of these directives. We therefore seek to expand our awareness and understanding of the diversity of our community and promote inclusion – within the Libraries’, the University, and beyond. support and expand their awareness of wellness, safety, financial health, and other, similar university goals.